Hi, I’m Bernice Schenk from 16 On Main in Arniston. 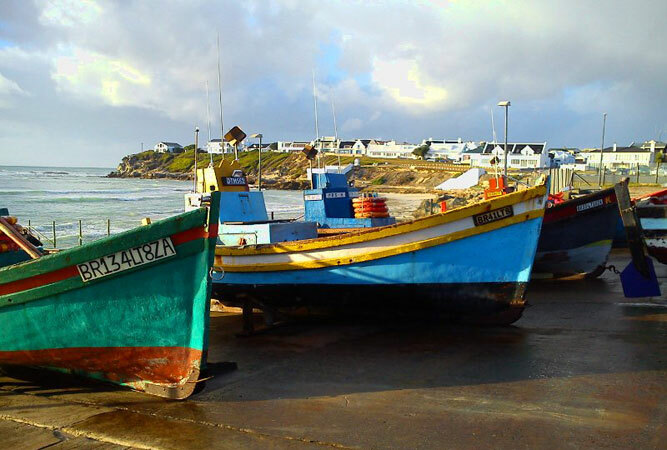 Arniston IS BEST KNOWN FOR its quaint historical fishing village feel. GET YOUR PICTURE TAKEN AT the Waenhuiskrans cave or on sand dune. THE BEST family PICTURES CAN BE TAKEN AT at the Arniston beach. WHEN THE WEATHER’S GOOD, I LIKE TO spend the day on the beach. WHEN THE WEATHER’S BAD, I LIKE TO take a drive through to one of the surrounding towns for some retail therapy. I THINK THE BEST TIME OF YEAR TO VISIT IS November through March, BECAUSE the weather is good for outdoor adventures. MY FAVOURITE BREAKFAST, LUNCH and DINNER SPOT IS the Arniston Hotel. 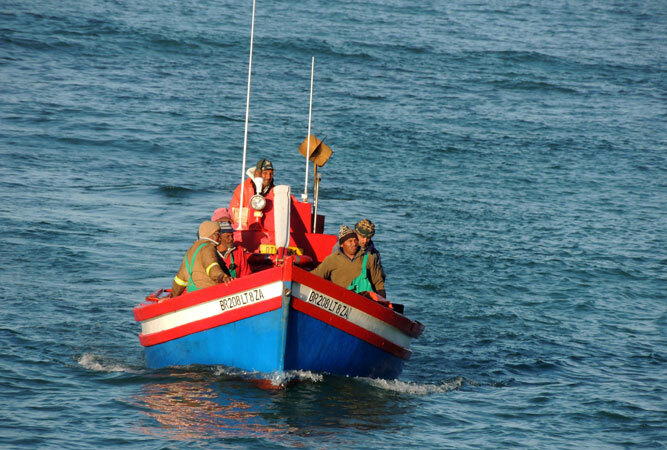 Arniston’s BEST KEPT SECRET IS that it is home to almost 100 aquatic bird species. MY FAVOURITE THING TO DO WITH FRIENDS IS dolphin and whale watching. FOR SOME CULTURE, I LIKE TO GO into the fishing village and chat to the locals. TO RELAX AND RESTORE MY SOUL, I LIKE TO relax with a glass of local wine at the beach front hotel. IF YOU’RE FEELING ADVENTUROUS, TRY surfing or kite boarding. MY FAVOURITE WALK IS to the Waenhuiskrans cave and sand dunes. MY FAVOURITE whale and dolphin WATCHING SPOT IS on a bench at the beach. MY FAVOURITE MUSEUM IS shipwreck museum in Bredasdorp. 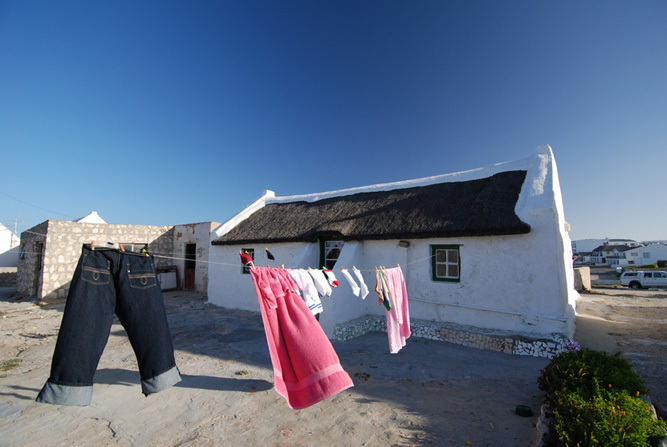 MY FAVOURITE BUILDINGS ARE the fishing village thatch houses, FOR THE great photographic opportunities. TRAVELLING WITH CHILDREN? A FUN OUTING IS a trip to the beach / cave / sand dunes. 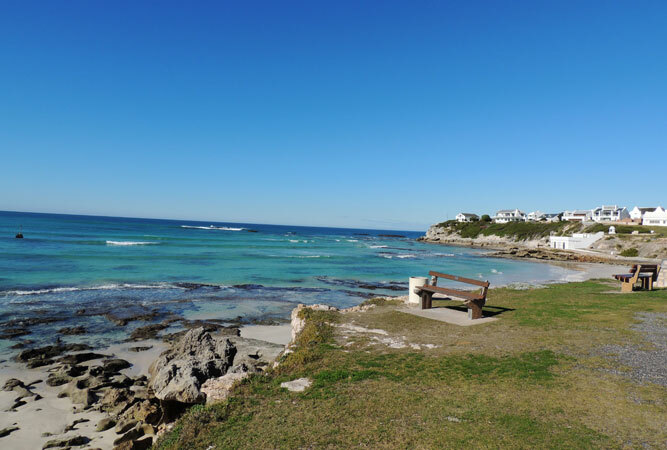 I Love Arniston BECAUSE it is an incredibly quiet and peaceful town!